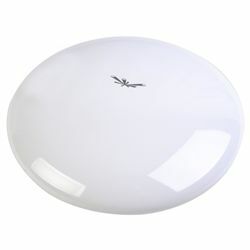 Ubiquiti's NBE-M5-19 high-performance 5GHz airMAX bridge has an integrated 19dBi antenna, creating a more efficient and compact CPE and gets maximum gain out of the smallest footprint. Its compact, all-in-one design produces a uniform beam width that blocks or spatially filters out noise a feature that is important in an area crowded with other RF signals of the same or similar frequency. The NanoBeam can be easily mounted in almost any position needed for line of sight. Its sleek design and size ensure that it will blend in to virtually any area where it is installed. Includes NanoBeamMS, ball joint mount, lock ring, metal strap, PoE adapter, power cord.